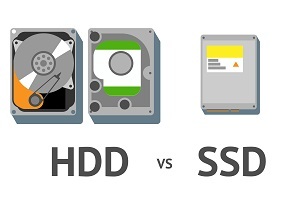 This blog post discussed the advantages of SSDs over HDDs for database environments. dm-cache is (albeit still classified “experimental”) is in the just released Linux 3.9 kernel. It deals with generic block devices and uses the device mapper framework. While there have been a few other similar tools flying around, since this one has been adopted into the kernel it looks like this will be the one that you’ll be seeing the most in to the future. It saves sysadmins the hassle of compiling extra stuff for a system. A typical use is for an SSD to cache a HDD. Similar to a battery backed RAID controller, the objective is to insulate the application from latency caused by the mechanical device, the most laggy part of which is seek time (measured in milliseconds). Giventhe relatively high storage capacity of an SSD (in the hundreds of GBs), this allows you to mostly disregard the mechanical latency for writes and that’s very useful for database systems such as MariaDB. I recently did a disk bound DBT-2 benchmarking on SSD/HDD (MySQL 5.4.0, InnoDB). Now I'm pretty confident that storing tables on SSD, redo/Binlog/SYSTEM-tablespace on HDD will be one of the best practices for the time being. This post is a detailed benchmarking report. SSD is often called as a disruptive storage technology. Currently storage capacity is much smaller and unit price is much higher than HDD, but the situation is very rapidly changing. In the near future many people will use SSD instead of HDD. From DBA's standpoint, you have a couple of choices for storage allocation. I was running a hard drive diagnostic using SeaTools for DOS v1.09PH on two exactly the same Maxtor hard drives, see details of the drives below. When I attempted to run a quick scan and then a long scan it received a warning “Overtemp–253″. After doing some research I have come to the conclusion that with certainty that this doesn’t mean the hard drive is running at 253 degrees Fahrenheit. My two drives are well ventilated and do not even feel warm to the touch. In fact this message apparently means according to Seagate that the hard drive does not support SeaTools reading temperatures.